The Rosebelly Lizard, Sceloporus variabilis, is common in Laguna de Apoyo Nature Reserve. Photo by Senen Rivero. 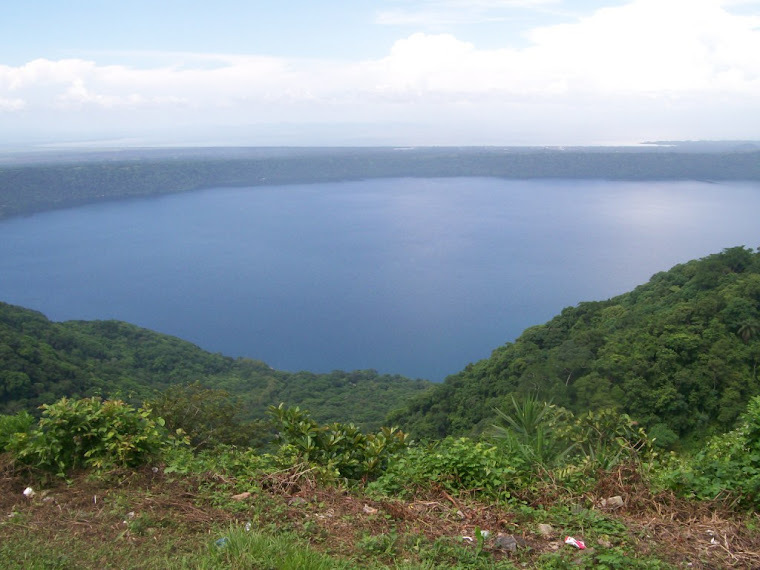 Fourteen species of lizards are known to inhabit the tropical dry forest habitat in Laguna de Apoyo Nature Reserve. 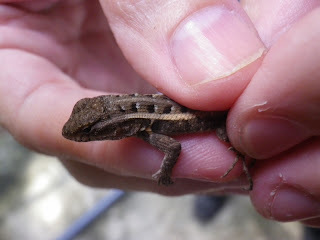 One of the more common species is the rosebelly lizard, Sceloporus variabilis, a member of the family Phrynosomatidae. Until recently, this species was classified in the family Iguanidae, along with the iguanas. The species is commonly seen rustling among leaves on the ground, scurrying over rocks or along fenceposts. The local name for this species in Nicaragua is terepota. The rosebelly lizard is similar to the anoles, but is distinguished by the absence of a gular pouch, and the presence of a small post-femoral pouch, which can barely be noted in the photograph above. The species complex extends as far north as southern Texas. 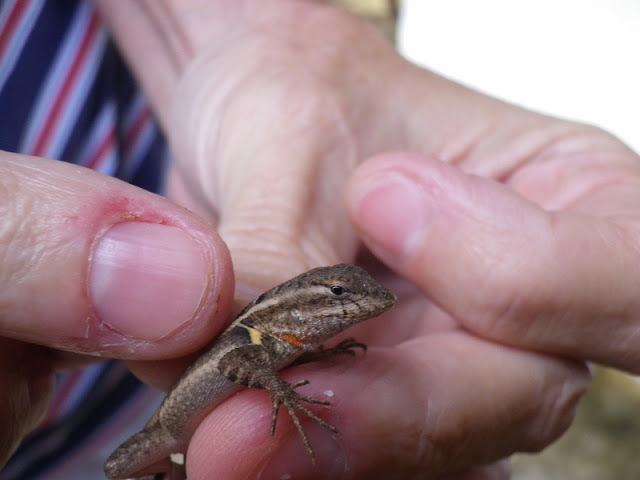 The variety found in Nicaragua, Sceloporus variabilis olloporus, is found from Guatemala into Costa Rica, and is considered by some researchers to be a distinct species. This species is among a group of species widely known as fence lizards. We do not know how building and clearing of undergrowth for real estate, agriculture, and firewood extraction affects the rosebelly lizard populations in Laguna de Apoyo Nature Reserve. In fact, there is little information about the reproductive biology, diet, and population dynamics of this species, even less about the Central American taxon. This species is just one more example of the biodiversity of Nicaragua of which we know too little. The longitudinal pattern of black-white compound spots on the back of the rosebelly lizard in Nicaragua is distinct from the pattern found on individuals in Mexico. Photo by Senen Rivero. 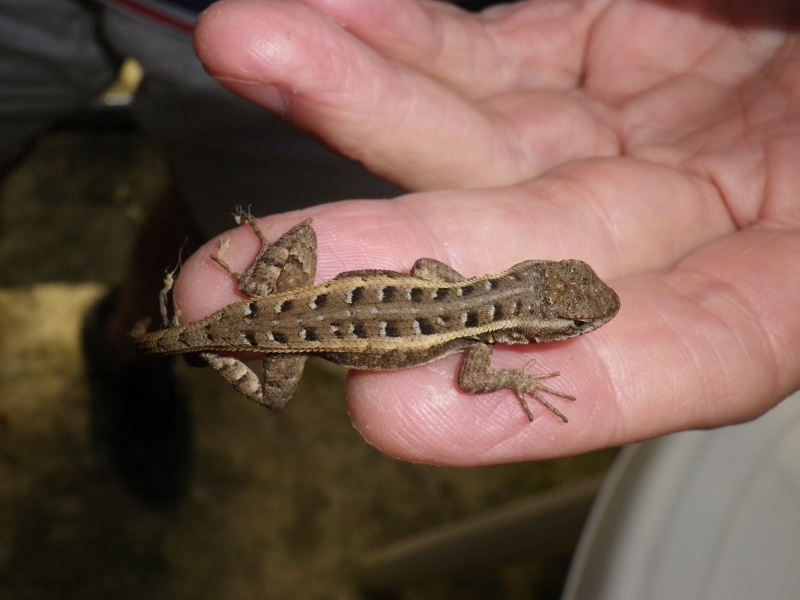 Distinctive markings help to identify the rosebelly lizard. Photo by Senen Rivero. We have a lot to learn about the wildlife of the tropics, even in accessible places such as Laguna de Apoyo Nature Reserve. In fact, our understanding of the needs of wildlife in this place is especially important, because firewood cutting, agricultural expansion, and even housing construction is expanding every day. The loss of wildlife habitat could destroy this place as a protected area. FUNDECI/GAIA supports the local efforts to stop all illegal constructions of housing, which are often conducted in the area, almost always by non-Nicaraguans.